Eddie Jobson started playing acoustic guitar and classical piano at age 7 and violin at age 8, turning professional at only 15. By age 17, he had already acquired a record deal with Warner Bros. and aninternational reputation as one of the early pioneers of the electric violin with his first recording band Curved Air (the band that also launched the career of Police drummer Stewart Copeland). In the same year he was invited by Roxy Music front-man Bryan Ferry to be the keyboardist and orchestrator on Ferry’s first solo album—a project that would garner the teen star the first of his nine gold albums. At age 18, Jobson became a full-blown member of Roxy Music, replacing synthesist Brian Eno and helping the band create their first No.1 album—a point that would mark the beginning of ‘Roxymania’ in Britain and the start of their most critically acclaimed and influential period. 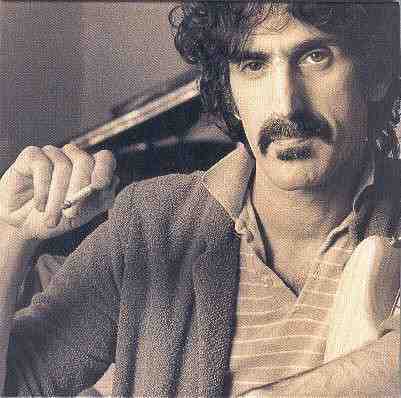 At the age of 21, already with twenty albums to his credit—having recorded with King Crimson and on several solo projects by the members of Deep Purple, and The Who—Jobson joined Frank Zappa as keyboardist and violinist in the bandleader’s only 4-piece ensemble—replacing both George Duke and Jean Luc Ponty. In 1977, at 22, Jobson returned to England to lead the progressive “supergroup” UK, a band he had formed with Bill Bruford, John Wetton, and Allan Holdsworth. As keyboardist, electric-violinist, principal composer and producer of the group, his contributions to the virtuoso band would secure his place as a progressive-rock keyboard legend and earn Jobson awards and consistent ‘top-3’ ratings in keyboard polls worldwide. After a world arena tour as ‘special guest’ with Jethro Tull, and a brief tenure as a member of Yes during their “Owner of a Lonely Heart” period—Jobson retired from all band and touring activity for the following two decades. Though out of the limelight, however, he continued to carve out a highly successful career as the man ‘behind’ the music, winning several awards as a composer and producer of hundreds of original scores for advertising, television and film, and producing albums by such eclectic artists as the Bulgarian Women’s Choir and Huun-Huur-Tu (the Tuvan Throat Singers) for his own musicians’ label Globe Music. 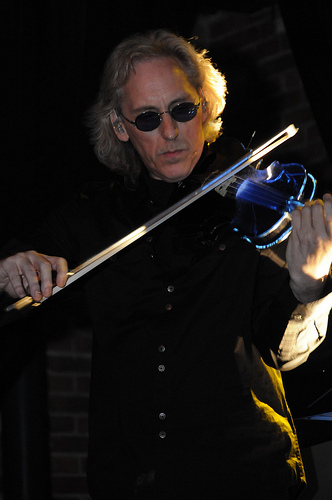 After four decades of pioneering work, and having been on the defining edge of early synthesis, rock violin, progressive-rock, art-rock, computer graphics (he produced and starred in MTV’s first CGI music video), computer recording, new age, electronica, and contemporary world music—Eddie Jobson enjoys a worldwide reputation as the ‘definitive musician’ as he continues to forge a path of musical innovation in all areas of music. In 2008, Eddie Jobson started UKZ. The band released a CDEP in (early) 2009. June 2009, the band did a couple of concerts in Japan. 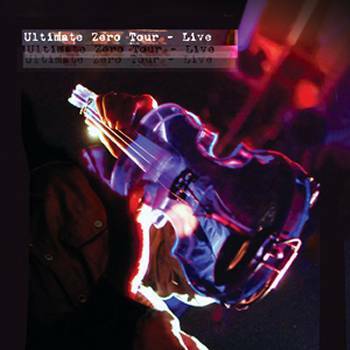 August 2009, Eddie Jobson's Ultimate Zero Project toured the U.S.West Coast. November of the same year, UZ (including Tony Levin) went to Poland. The band also did concerts in Russia, and was joined on stage by Adrian Belew for a couple of King Crimson tunes. 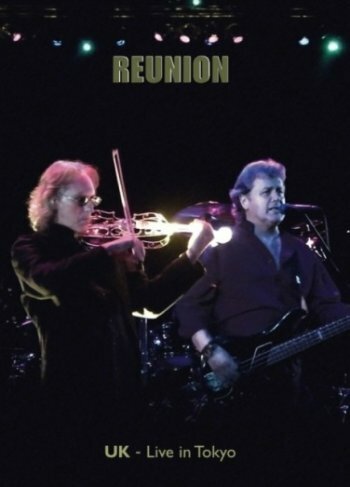 April 2011, U.K. (Wetton / Jobson) reunited and did concerts in Tokyo, San Francisco, New York en Boston. Eddie Jobson performed at the 2011 edition of the Zappanale festival. 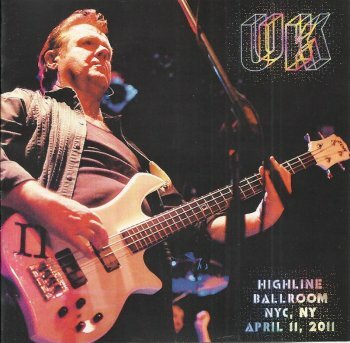 In 2012, U.K. did a reunion world tour. The fist concert took place on May 1, 2012, in Chicago. June 2012, U.K. went to Japan. The band consisted of John Wetton, Eddie Jobson and Terry Bozzio. u.k.: night after night - live ! jobson (first?) 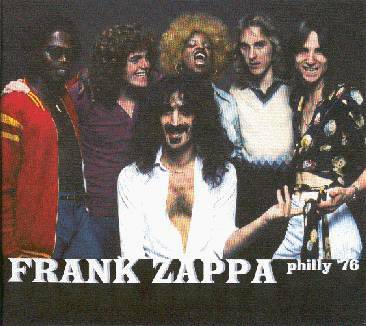 performed with fz on filthy habits on december 7, 1975, in hamilton, ontario. "[eddie jobson had] met frank when roxy music supported the mothers at a gig in milwaukee in may 1974, when he'd sat in with one of his musical heroes. at the end of roxy's american tour, he remained in los angeles and played with an early incarnation of ritchie blackmore's rainbow. then frank invited him to accompany the mothers on a week of canadian gigs. "jobson and frank played together at sound checks and in dressing rooms as frank assessed both his musical ability and his capacity to memorize arrangements. but he did get to play onstage at two shows. 'he'd sort of say maybe five minutes before he was due onstage, "it'd be nice if you played along tonight",' he told chris salewicz. 'you know, there's 10,000 people out there and he tells you like five minutes before and you just have to go onstage and jam, really. i mean, he goes into a riff that you've never heard before in your life and just points at you and you have to do a solo. it was really good for me... i mean, that's his strength. he stretches his musicians beyond their capabilities all the time. and then when it comes to a performance he'll just relax it slightly to the point where people can actually play what he wants.'" note that the second paragraph quoted makes it clear that "accompany the mothers on a week of canadian gigs" meant hanging out backstage, not necessarily playing in all the shows. nor is it clear whether he was onstage for the whole of the two shows in which he did play. there were six known gigs (in toronto, london, ottawa, hamilton, montreal, and quebec), so maybe quebec wasn't the other show he played. 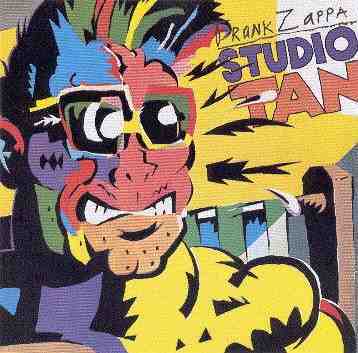 does anyone know if, when, and where roxy music might have opened for fz? 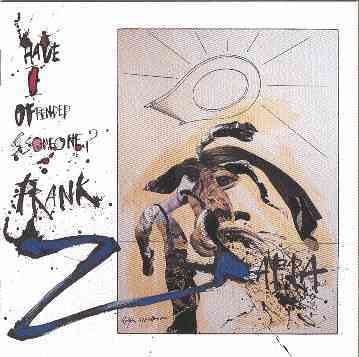 eddie jobson: "roxy supported frank in milwaukee, which is where i got to meet him. i expressed interest in his music and his band, and the next day both bands went to chicago. we had a day off and frank was playing so i went to the gig and jammed with him in the dressing room. he was suitably impressed to invite me to canada at the end of the roxy tour to tour around with him for a week. i just played with them in dressing rooms, working things out, so he could see if i could play his stuff and remember it. a couple of nights i ended up on stage, guesting on violin." 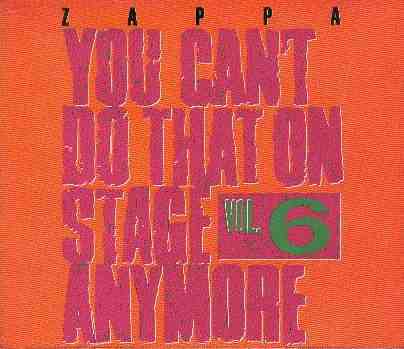 so, the answer to your question: mecca auditorium, milwaukee, 11/28/75. the two nights on which jobson guested on violin were 12/7/75 hamilton and 12/8/75 montreal. a tape of the hamilton show is in circulation. this dynamic rock violinist has played with everyone from uk, roxy music, and frank zappa to jethro tull. jobson's recordings as a leader showed much promise in their use of keyboards, computer-generated sounds, and wailing electric-violin solos. too bad he hasn't released more of his own music. anyway, while flipping though the tv last friday night, i caught the end credits of the nbc show "viper". nothing big, except when i saw "music composed by eddie jobson". i couldn't believe it. 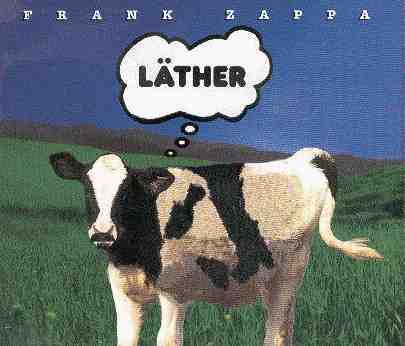 for those who don't know, he is on zappa's "live in new york" cd. i had no idea what he was up to nowadays, so i was glad to see he is still around. a side note, this guy has also played with yes, jethro tull, u.k., and a few other bands. very versatile guy. 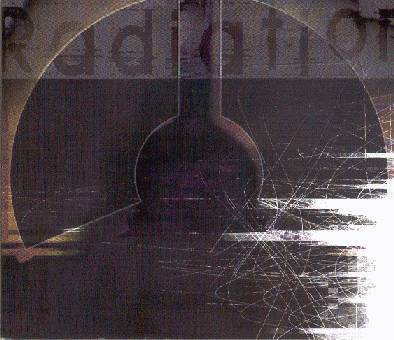 also worth mentioning is eddie jobson's _theme of secrets_ cd. 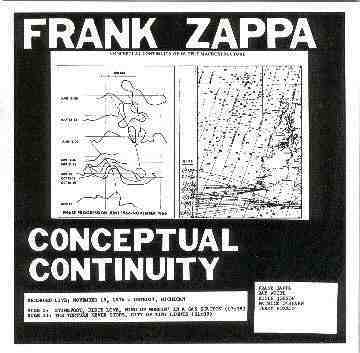 released on the private music label in 1985. all compositions were composed and performed by eddie jobson on the synclavier music computer. i might add that allan holdsworth left u.k. (the band) because jobson insisted he should play *exactly* the same solo every night... that's the reason supplied in his autobiography "reaching for the uncommon chord" (recommended!) a fair, the book also has some mention of f.z. the last i've heard from keyboardist/electric violinist maestro was his album he did on the private music label called "inner secrets" (?) in 1985. he also contributed to a piano compilation from the same label called piano one in 1986. since then i haven't heard or read anything about him or his music projects. in a recent interview bill bruford said that ej is now a producer for tv ads, films for tv and also owns a big production studio in new york. 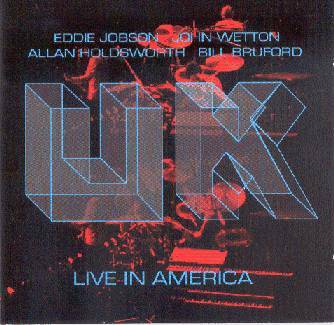 jobson is now reforming u.k. with wetton (and maybe bruford, holdsworth only as guests an album). the record should be out at february. check out more news in the u.k. fan club on the net. ej appeared on the 1983 yes video for "owner of a lonely heart" to fill in for tony kaye when he temporarily left the band. eddie jobson and his assistant mark sterling are currently writing the music (theme and incidental) for don johnson's new series, nash bridges. they are replacing the composer from last season that don johnson was unhappy with. they are also working on the upcoming uk album. there are some individuals who might argue that zinc would fall into this category, but this, in my opinion, would be rather unfair. _the green album_ (1983), by eddie jobson and zinc, was one of the better prog/pop (as opposed to prog-pop) albums of the era, featuring prog musicianship interspersed with song structures vaguely reminiscent of what was popular in '80s britain. 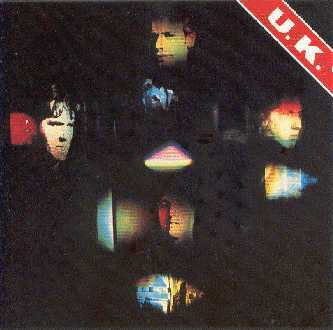 _theme of secrets_ (1985), is an instrumental jobson album, which walks the line between progressive and proto-ambient. nothing "flashy" about it at all (at least, not in the "glam rock" sense). you had to really look for eddie jobson in that yes video. it was shot when ej was brought in to replace tony kaye, who didn't want to tour after the 90125 release. when tony changed his mind, ej was out of the group...and out of the video. you catch a faint glimpse of him, rear dorsal view, as the yes members close in on the video's main character in the rooftop scene. ej' s the green album was finally released on cd a few years ago on one way, via capitol's special products division. get it while you can...it may not stay in print long. nice to hear that uk may resurface. 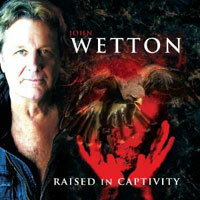 hope john wetton curbs the overly commercial tendencies of asia. 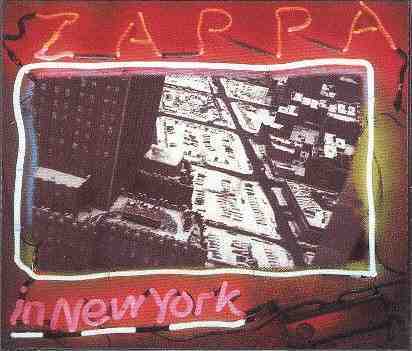 on a related note: talking with terry bozzio after a polytown show, he implied that his experience with uk was less than satisfying - he was sort of locked out of the songwriting by ej and jw. 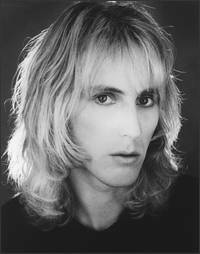 here is some info on eddie jobson's early career, that you might find interesting. in the early 1970s (1973 i think) i used to go to club in sunderland, in north east, england called the mecca. they had live bands every friday, and after a good run of booking good lasting a few years, they were going through a lean period. the place was in decline and attendence was low. a new manager seemed unable to book any good bands. we were there on one of these fridays, the stage was set up and the name on the bass drum was "fat grapple" (stick with this, i'm serious). okay, we all said, sounds like another bunch of losers. well they came on and quickly got attention. the music was, stunning, intersting and very entertaining. a blend of prog rock, theatrical (like early genesis), with a few standards in those genres and lot of their own material. most interesting of them was a multi instrumentalist introduced as "the beautiful edwin". it was eddie jobson of course, unknown at the time. he was great, and even though the whole band was very good, he stole the show, playing with enthusiasm like i'd never seen before. he played mostly violin, but also guitar, accordian and keyboards. the crowd went nuts, wouldn't let them leave the stage, they seemed to run out of material and i'm sure they played the complete set again just to keep everybody happy. one of those happy people was the club manager, who appeared on stage, and signed them up for the following friday and spoke to the crowd, asking them to bring their friends next week. it worked! word spread arround town and the following friday everybody was there to see fat grapple. it was almost a disaster, just as they were about to go on eddie (still called edwin) sat on his violin. (i didn't see this, but that's the story i got). the start was delayed while they tried to do something, no other violin was available so they stuck it together with tape, and it worked, still sounded good to me, when they finally got going, but it looked in one hell of a mess.. again they played great and the crowd loved it. again eddie was the star and stole the show. it was one hell of a night. i noticed a lot of extra equipment this time, i guess they rented or borrowed it, including a vs2000(?) synthesizer, very cool for the time, and never heard before in a place like that. they played there again a few weeks later, just as good. next thing i knew curved air had a new violin player and you know the rest. i heard fat grapple supported curved air on tour in uk before eddie joined them. the rest of the band were pretty good as well, some of them were involved in a musical called "future shock" i think, but beyond that, i know nothing. anybody else remember the mecca in sunderland? i saw some great band there in the early 70s. genesis, jethro tull, , zeppelin, van der graaf. i've found this cute little site for our little blonde violinist. 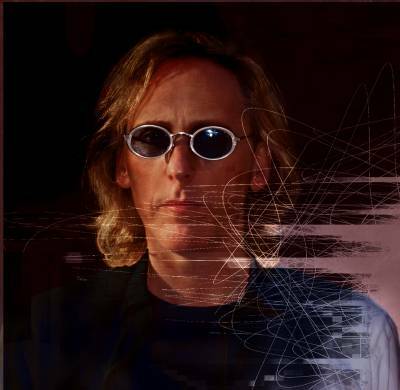 UKZ EP release: Keyboard and electric-violin legend Eddie Jobson announces a January 6 Internet-release date for the new UKZ band's debut EP entitled Radiation. This will be INTERNET ONLY and the actual CD/EP release to worldwide retail will follow in March. The band is also planning a debut concert on Saturday 24 January 2009 in New York City. A video for the title track "Radiation" will be released this month to www.ukzband.com Zealots Lounge members. The Zealots Lounge will be a place where members can get a look behind the scenes and have advance access to UKZ music, video and concert tickets. Aaron Lippert: a citizen of Belgium, but born and raised in New York-- the former lead singer and songwriter for Columbia recording artists Expanding Man. Trey Gunn: a Texas native, currently residing in Seattle -- a ten-year veteran of King Crimson and the leading exponent of the Warr touch guitar. Alex Machacek: from Vienna, Austria -- an award-winning guitar prodigy and composer. Many were hipped to Alex via the Bozzio OUT TRIO with Patrick O'Hearn on bass. Marco Minnemann: from Hannover, Germany -- a drumming phenomenon of unparalleled virtuosity., known to many music fans from his astounding DW drum clinics and his work with Mike Keneally & Bryan Beller. Fittingly, for an international 21st-century band that formed on the internet, the group are working together digitally, exchanging music and video files electronically from their respective cities. The band members are currently writing and recording their self-titled debut album.